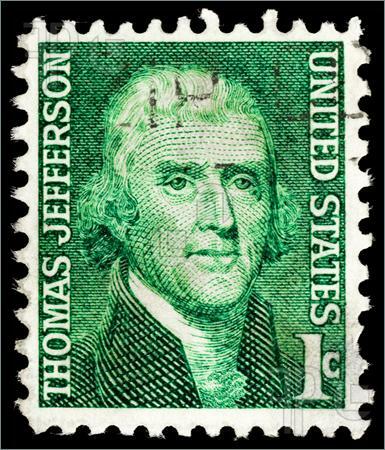 Freedom, Local Government, Thomas Jefferson, Vote 2011, Vote Wikiriwhi! He who Governs Best, Governs Least. I have been a Libertarian activist for over a decade and have stood for Parliament and Hamilton City Council, including the Mayoralty many times. It may surprise readers to hear that from first hand experience I can verify the fact that both these different types of Government suffer from the same political diseases and as such they both require the same remedies. In fact the problems now being faced in Little old Hamilton are identical to the problems faced by our National Parliament, and if we take a Satellite view we can see that these same problems have rendered all the major western democracies chronically Ill with social chaos, and all teeter on the verge of economic collapse. The problem is Socialist over-government, and is caused by politicians overstepping the legitimate bounds of Good government, of an ever expanding sphere of operation, usurping unjust powers and encroaching upon the domain of legitimate liberty and self responsibility. The Bigger the Government, the more expensive it becomes, and so the heavier the burden upon the backs of the population whom must carry it. Governments can not generate wealth. All they can do is hinder its creation, or bleed it from veins of those who do generate it and either waste it upon their grand delusions, or redistribute it to their Political favorites. This is why Western civilisation is crippled under Rapacious Taxes and Rates, and wallowing in massive debt. For Ten years I have been standing on my soapbox warning my fellow Countrymen and ratepayers that as surely as the Soviet Union collapsed… so too would our taxes and rates become too heavy to bare, That we would suffer legal oppressions that curtail our freedom and ability to support ourselves and our children, and that we face certain Bankruptcy. I have argued that we must halt this ever expanding socialism and reverse it via a program of Libertarian reforms. Not being a wealthy Man I have never been able to afford a real election campaign. I have spent $1000.00, while my competitors have spent $50 000.00. Another factor that works against me is that having no financial backing and operating as a one man band, I must fund my own campaign and hold down a Job (Im a self employed Engineering Contractor). Thus while Im doing 60 hours a week, my competitors are out having morning tea at election meetings, doing speeches, kissing babies, and making Big promises to satisfy the vested interest of the particular Lobby groups hosting the meetings. I am lucky to make it to the Meetings which happen after hours, to which I am usually knackered after a hard days slog and ill prepared having limited time for speech writing etc (And I like to write pertinent speeches for every occasion rather than Parrot the same general statement at every meeting). Sadly Most Election Meetings are held by special interest groups whom are not looking for the the most principled and upright candidate, but instead are looking for handouts and political favoritism. And most of my political opponents fall over-themselves to outdo each other in offering the grandest political bribes to win the support and votes of these lobby groups. In a way I don’t think I lose many votes at all by fixing leaking pumps instead of attending these sorts of Meetings as I explain in the following article I paid to get printed in the Local rag ‘Hamilton news’. I wrote it for the last time I stood for Hamilton City council. These Lobby groups don’t want to hear a message of frugality, and so if they actually learn about my Libertarian Ideals, they despise me for them! They know if they vote for me that I wont grant them any favours… so they don’t vote for me. I post the following article for two reasons. Firstly because I am currently standing for Parliament, and Though this article is about Local body politics, It actually displays the very same rationale which I apply to National politics and how to solve our Economic and social problems on a National scale. Secondly I post it as a testimony to the fact That I offered Hamilton clear analysis of the Rates crisis that we now suffer and also a rational program of Libertarian reforms to solve the crisis and to keep it from happening again (at least on my watch) . I want to expose the failure of the so-called Free Press, their pathetic journalism and lack of integrity, in particular the Waikato Times and their failure to appreciate the importance of my candidacy and what I had to say on the essential issues facing Hamilton and our nation. I argue that they have dropped the ball and failed to do their job at informing the people of Hamilton that there was indeed a candidate offering very real alternatives to the status quo. They have failed because they wrote me off as a serious contender because I was not spending thousands of dollars on a campaign, nor am I a local celebrity Ex rugby star etc. I argue that they ought to have recognized my principles as worthy of attention, in spite of my pitiful campaign. Had they done so, and included me in the public discussion which they control via the daily reporting upon the issues … via decent press coverage I would have built up a formidable profile now and be well known by the voters of Hamilton, and would probably have gained financial backing and other support so that I could afford to run a proper campaign. They have not simply failed me but the people of Hamilton. I must say that the Local Rag ‘Hamilton News’ (was Hamilton This week) has done a much better job in informing the Hamilton people of their choices and has run many of my soap box articles over the years, and I am very grateful to them for this. I am left to wonder if the editors of the Waikato times actually know that if they gave me equal press coverage that I would become a political force to be reckoned with… and that this is the very reason that have not done so. Ie They have purposely kept me and the people of Hamilton in the dark, for the benefit of the status quo and the powers that be? This is wild speculation. A conspiracy of Silence. I think they simply do not think I have any credibility. That I am a Radical. No matter what the reason, they have made a terrible mistake, which has cost our city Hundreds of Millions of Dollars. How can I breakthrough this severe obstacle that hinders my prospects of being elected? Ten Years of intelligent and peaceful activism has not worked. Must I blow up a building? (Joke) Sadly it seams The paper only pays attention to sensational/criminal activism such as is common with the Lefty Green and Maori radicals “Direct action and ‘Occupations’. When You are respectful of property rights and the rule of Law… the press are not interested in running your story. This is another failure on their part…not mine. I must battle on. I must be carried by my personal convictions and not be broken by my isolation. ‘Revolution At The Roots’. Making Hamilton ’s City Council, Smaller, Better, and more conducive towards prosperity. By Tim Wikiriwhi Independent Candidate for Hamilton West. Election time is painful for me because it is a time when common sense looses its currency and is trodden underfoot by fanatical lobby groups with vested interests, and forked tongued power hungry politicians who will say and promise the moon for the sake of getting elected. The financial imprudence, and Nannyism of most of these affairs matters little in this feeding frenzy of demands and election bribery. No one raises such common sense realities because election meetings are not about economic realities or justice, but about political power and imposing vested interests upon our communities. Well I wont have a bar any of that. I have decided not to attend lobby group meetings because I dont have any political favors for sale. I’m not putting up any election signs because I don’t want someone to vote for me just because of my good looks on a billboard. I want people to vote for me because of my principles and financial prudence. That I did not attend a meeting on getting commuter trains to run between Hamilton and Auckland, or one on city art, does not mean that I have no interest in these various issues, but that I know the council is running in the red with a climbing debt currently at $338.5 million which is projected to blow out to over $700 million before the next decade is through. What this tells me is the junket is over! Past councils have mortgaged us to eyeballs, and getting this debt under control must be the highest priority of the newly elected council. This is one reason I implore voters to turn a deaf ear to the big talking, big spenders whom have been in council so long they have grown roots! These buffoons have run the city into the red, and yet they continue to promise heaven and earth just to be re elected. I ask voters to not allow themselves to deceived and bankrupted by these incompetent dinosaurs, but to boldly vote in fresh people whom are committed to taking on the hard task of trimming down the size of city council to focus on core infrastructure, and getting the rates burden under control. The problems that we face in Hamilton are far from unique. Around the world the problem of bloated bankrupt bureaucracy, its mismanagement and suppression of prosperity are reaching such proportions that even Castro’s Cuba is looking at axing hundreds of thousands of State jobs and allowing free enterprise to work its economic miracle. Books such as “Revolution at the Roots… making our government smaller, better, and closer to home” by William D Eggers and John O’Leary, and “Freedom to choose”, by Nobel prize winner for economics, Milton Friedman have already clearly defined the problems we face, and point the way to recovery, growth and prosperity. Thus my dream for Hamilton is to have a city council that is trim, and councilors that respect liberty, private property and free enterprise. I envision a council free of small minded Nannyism, peopled with those committed to serving the community not tyrannizing over it. Update: I think it is well worth mentioning that I am not unique in suffering this Conspiracy. It ought to be Noticed that This has been the lot of the Libertarianz Party as a whole over the last ten years, and is still the case today in the current election. They are locked out of all Media coverage. It may be argued that they are ignored because they dont register on any poll. yet This is a despicable notion. They dont register because they dont get any media coverage! It is a travesty! Update 2 13-11-11 The Waikato Times is a bloody crap Paper which perverts the democratic process and slopes the playing field in favour of their pet parties and the status Quo. In this saturdays paper they run a large two page story called ‘5 face the music’ They have David Bennet Nat HE, Sehai Orgad Lab HE, Nick Marryatt Green HE, Tim Macindoe Nat HW, Sue Moroney Lab HW. No Garry Mallett Act HE. No Tim Wikiriwhi Independent HW! Its Corrupt! They are Shameful! There will be other candidates they have shafted too! This is a clear demonstration of how the Media of NZ are worse than hopeless… absolutely devoid of integrity. Thanks Richard. I have edited it and added some extra stuff too… I think its even better now. This is a great piece Tim. I have no idea what the answers are to finally get to limited government, and liberty. The mob against us is so huge, and so deluded, I despair. I know, now, that Statism is going to be the dominant theme throughout my lifetime. Just now and again, looking at Europe and the US, I think, perhaps when the whole Keynesian economic edifice caves in, as it is doing, we can perhaps clean the slate and move to some type of constitutional libertarian minarchy. But then I watch an interview with a Greek businessman on BBC bemoaning that what was needed was ‘strong leaders’, and I suspect that after the clean slate, a second century of totalitarianism is probably the more likely scenario. Whoops. That’s pray, I think. Sorry. Thanks for the comments Mark. I know what you mean regarding your crystal ball predictions of ongoing tyranny… The sheeple are so unenlightened that they will recieve the mark of the beast rather than adopting a philosophy of self reliance, self responciblity, and libertarian consitution. Its tragic. And I added Paragraph breaks too! Cheers!